Appraisals - Book The Hipstamatics Here! 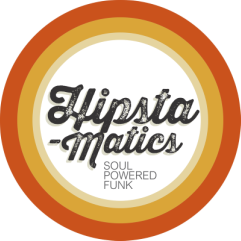 The Production & Music Agency have been working with The Hipstamatics for the last couple of years. As a booking agency we only supply the best to our corporate clients. A personal favourite of mine is the hipstamatics, they are a large 10 piece band that are truly a dynamic enthusiastic band that has some of NZ’s best musicians and vocalists we have to offer. Happy to work with any theme requested by my clients to maximise the clients experience and nothing is ever an issue. These guys are truly a class act with a fantastic show to accompany them every time. If you want to be entertained this is the band to do so. You guys were amazing! I totally loved your performance, and I could see that the rest of the audience did, too. Thank you so much. Thank you all once again for the Hipstamatics performance yesterday. I was so worried that you’d have to play to a dead room, but I should have had more faith in funk! It was incredible to see the room build into such an energetic, joyful afternoon dance party and a great way to wrap up the event on a high! "The Hipstamatics are fabulous! They are truly soulful, funky and full of fire. They remind me of a legendary Soul Revue band, seamlessly joining all their songs together and working them with all the vigour and sweat that these songs deserve. You will get on the good foot!!" After nearly 18months of meticulous planning, our team finally executed a massive 4 night 3 day conference for 550pax in Aucklands Sky City in August this year. Given the relentless program and the extensive awards night to conclude the event, "a party to end all parties" was requested by our client. At this juncture as a Producer, there is no question as to where I turned. Dillon and the Hipstamatics crew have been outfront as Aucklands premier retro party band for several years now. The decision for us was simple, no second guesses guarantees or assurances required. We would close this event peaking. "Professional, on time, polite and sounded fantastic. Hipstamatics just blew us all away. "Can't rate this band highly enough. Hipstamatics played our wedding...everyone had a blast and the dance-floor was packed all night long. Truly worth every penny, and ever since, our guests have been ringing up asking us for the name of the band." and made it work and their take on Curtis Mayfield’s ‘Move On Up’ adds a cool vocal twist." "I thoroughly recommend Hipstamatics for weddings and events. They were very professional and easy to work with at the wedding. Punctual, well organized and came to inspect the Venue before the event. They set up in plenty of time and sound checked, ready to go, well ahead of schedule. The band was a huge hit with the all the guests, everyone hit the dancefloor and stayed there all night!" "This band is truly a crowd pleaser. The best feedback I’ve received from any band so far, we’d be happy to have these guys back again!"